With ASU No. 2016-20, Technical Corrections and Improvements to Topic 606, Revenue From Contracts With Customers, the FASB continued its response to implementation challenges and requests for clarifications received from the Transition Resource Group (TRG). The TRG, the group of practitioners, accountants and financial statement preparers tasked with vetting questions concerning Topic 606, Revenue from Contracts with Customers. In this Update, the FASB addresses 13 specific issues which the TRG referred to the FASB for consideration, ranging from updated wording on several examples found in Topic 606 to clarification on the scope of Topic 606, as well as some potentially significant disclosure relief with regard to the amount of transaction price allocated to unsatisfied performance obligations. We recommend reading the entire text of the update, which can be found here, to determine which of the amendments contained in this update applies to your entity. Let’s look at the amendments that have wider applicability in a bit more detail. 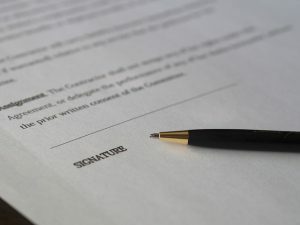 First, this update clarifies that when performing impairment testing on the costs related to obtaining or fulfilling a contract, an entity should consider expected contract renewals and extensions in its impairment analysis, as well as amounts it has already received but has not recognized as revenue in the amount of revenue it expects to receive in the future. This update also clarifies the order in which an entity should perform impairment testing, starting with costs not included in the Scope of Topic 340, 350 (Goodwill) or 360 (PP&E), such as inventory, and then those within the scope of Topic 340, followed by those within the scope of Topics 360 and 350. Second, this update clarifies that an entity should determine the need for a provision for losses on contracts at least at the contract level but may elect to perform this assessment at the performance obligation level. Third, this update provides some disclosure relief related to the requirement to disclose the aggregate amount of transaction price allocated to wholly or partially unsatisfied performance obligations at the reporting period. An entity may elect to not disclose this information related to variable consideration if it does not need to estimate variable consideration to recognize revenue for the performance obligation. However, entities electing this approach will need to make additional disclosures concerning the nature of the transaction price which it has not disclosed. Lastly, this update reinstates accounting guidance related to the accrual of advertising costs which was inadvertently superseded by ASU No. 2014-09. This guidance has been reinstated and is now included in Topic 720, Other Expenses. With the issuance of this update, there are no outstanding exposure drafts or ongoing deliberations related to the revenue standard. The FASB has indicated that it does not expect to issue further amendments until after Topic 606 is effective. The amendments in this update will be effective at the same time as the rest of Topic 606. Surgent CPE courses cover the very latest information in accounting and auditing. Stay up-to-date in 2017 with our live webinars, on-demand webcasts, and self-study, downloadable courses. Register for a 2017 course package.